Time lapse of the ocean and blue sky with soft cloud formations, Alaska - Stock Footage, Inc. 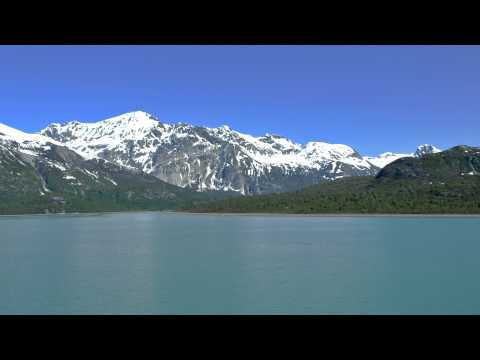 Categories: USA, Alaska Stock Footage Reel, Nature, Alaska. Tags: Alaska, background, bay, beautiful, blue, boat, caribbean, clouds, cloudscape, cloudy, cruise, cruise ship, cruising, day, elements, float, gulf, harbor, harbour, holiday, landscape, mountain ridge, mountains, nature, ocean, pacific, port, sail, scenery, sea, ship, sky, time lapse, timelapse, tourism, transportation, travel, trip, Tropical, vacation, vancouver, view, wake, water, waves, wet, white, yacht. Traveling time lapse from the back of a cruise ship of the blue ocean along the Gulf of Alaska. Shows cool soft cloud formations against an aqua blue sky, in the distance you can see mountain ridge. Filmed in the Gulf of Alaska. 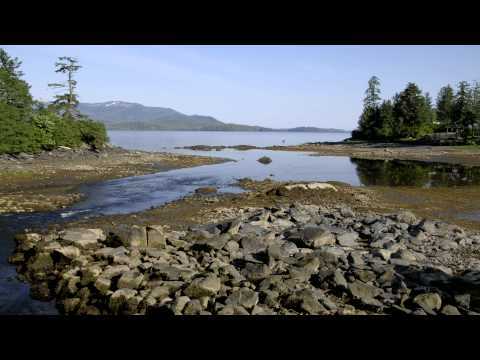 Time-lapse of a stream entering into the ocean near Ketchikan, AK. 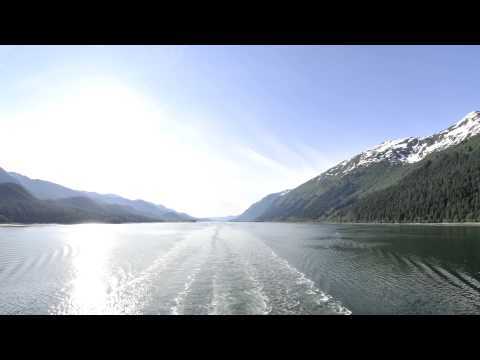 Traveling time-lapse filmed from a cruise ship in Glacier Bay, Alaska.